The sun is shining, the water is warm and wanderlust is setting in. Yes, we’re in summer vacation season here in Florida. Which means you might be feeling the urge to pack your bags and head off to explore a new city—or just relax on the beach with a good book. No matter where you want to go in the Sunshine State or how active you want your getaway to be, there’s a hotel with a summer deal or special. Here are some options to check out located everywhere from the Panhandle to South Beach. If a Jimmy Buffett tune sounds like your ideal vacation theme song, you might want to check in to the Margaritaville Hollywood Beach Resort. Situated on the well-known Hollywood Beach Broadwalk, the resort was inspired by the lyrics and lifestyle of the singer-songwriter. 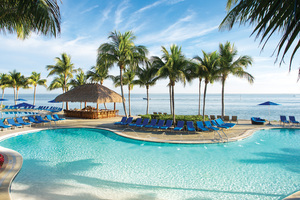 There are two beach-level, family-friendly pools, a rooftop pool and bar and plenty of dining and drinking spots for enjoying a cheeseburger in paradise or the hotel’s namesake cocktail. 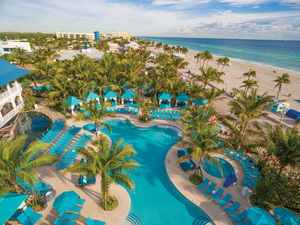 Through Sept. 30, the resort’s Great American Summer Fun package (nightly rates starting at $249) includes free breakfast for kids 12 and under each morning and $25 per night in “Summer Bucks,” which can be used for on-site recreational activities like hanging ten at the hotel’s beachside FlowRider Double wave simulator. Located on an oceanfront spot in Palm Beach, the Palm Beach Marriott Singer Island Beach Resort & Spa offers condominium-style suites with fully equipped kitchens ideal for family getaways. The resort includes three on-site restaurants, an infinity pool and a lagoon-style pool with a waterslide. Guests who book the resort’s Little Loggerhead package get overnight accommodations for two adults and two children (two-night minimum) and a private tour of the Loggerhead Marinelife Center, a nearby nonprofit focused on ocean and sea turtle conservation. They also enjoy participation in the center’s Adopt a Sea Turtle program, receiving a certificate with the name of the sea turtle they’re helping to support. Summer rates for this package start at $294 per night. Recently named one of Condé Nast Traveler’s favorite hotels in the world, the Betsy—South Beach offers stylish accommodations (think dark walnut floors, marble bathrooms, mirrors that incorporate flat-panel TV screens) in an action-packed location. The Miami boutique hotel offers luxe amenities ranging from sunrise yoga on its Ocean Deck to fresh lemonade by its Courtyard Pool and is home to LT Steak & Seafood, which showcases award-winning chef Laurent Tourondel’s seasonally inspired menus. The only hotel in the United States that serves as an extension of a fine arts museum, the Alfond Inn in Winter Park is owned by Rollins College and displays rotating installations of works from the Alfond Collection of Contemporary Art. That collection includes more than 300 paintings, photographs, sculptures, mixed-media works and other pieces donated by Rollins alumni to the Cornell Fine Arts Museum at the college. Take a swing this summer at the PGA National Resort & Spa. It’s home to five golf courses, including one designed by the late Arnold Palmer. The Champion course, which was redesigned by Jack Nicklaus in 2014 and hosts the PGA Tour’s Honda Classic each spring, is considered one of the most challenging in the state. And if golf’s not your game, the Palm Beach Gardens resort also boasts a European-influenced, full-service spa, 19 tennis courts and several spots for dining or drinks. Situated midway down the island chain that makes up the Florida Keys on secluded Duck Key, the 60-acre Hawks Cay Resort features 427 hotel rooms and villas that offer water views and plenty of room for families. The entire resort underwent a recent renovation and is now home to six restaurants, including the new Angler and Ale, which serves up fresh seafood and craft beers. Amenities include a saltwater lagoon, five swimming pools and an award-winning spa. The resort’s full service marina helps hook guests up with fishing charters, guided Jet Ski tours and other water-based activities, while the on-site Dolphin Connection facility allows guests to interact and swim with the marine mammals or observe training sessions. Sonesta Coconut Grove Miami allows travelers to take a different approach to visiting the Miami area. It’s close enough to all of the city’s action but offers a quieter escape in the midst of the artsy Coconut Grove neighborhood. Amenities include an eighth-floor pool and a contemporary art collection that includes pieces by artists like Frank Stella and Robert Rauschenberg. At the resort’s Panorama Restaurant & Sky Lounge, diners can enjoy Latin fare while taking in sweeping views of Biscayne Bay. If what you eat is as important as where you sleep, check out the Epicurean Hotel. Located in the trendy Hyde Park historic district of South Tampa, the 137-room boutique hotel blends high-style accommodations with high-end eats. The hotel—developed in collaboration with Tampa’s legendary Bern’s Steak House—includes an on-site restaurant, wine shop, rooftop lounge and pastry shop plus a state-of-the-art culinary classroom that hosts everything from cupcake classes to cooking demos and instruction on wine pairings. Looking for a low key escape? The Delray Sands Resort occupies a quiet stretch of Atlantic Ocean shoreline in Highland Beach. The 115 room boutique property recently underwent a refresh. Guestrooms now boast beachy color schemes and custom bedding; premium suites feature stylish kitchenettes and beachfront patios. The new Latitudes restaurant serves coastal cuisine in a space that takes design cues from its ocean views. The largest full service beachfront resort in Northwest Florida, the Hilton Sandestin Beach Golf Resort & Spa underwent a $30-million renovation in 2015. Located in South Walton, it features rooms with Gulf of Mexico views, six dining spots, indoor and outdoor pools and a variety of children’s programs throughout the day. It also offers easy access to the other Northwest Florida beach communities located along Scenic Highway 30A, each of which have their own character and charm. A 232-acre, eco-friendly resort, the Plantation on Crystal River often serves as a jumping off point for folks interested in exploring nearby Kings Bay, where the federal government allows for “passive observation” in the water between manatees and human beings. As a result, tours give people the opportunity to swim, snorkel and dive alongside the gentle creatures. The resort also offers a full-service marina, 18-hole golf course, nine-hole executive golf course and spa. During the summer, guided scalloping tours take guests into saltwater grass flats to hunt for the tasty shellfish. A resort chef will even cook up any scallops guests bring back with them. Just because you may call Southwest Florida home doesn’t mean you wouldn’t enjoy an escape to one of its many hotels and resorts. Book one of these packages or offers to enjoy a staycation rich with beachfront views, fun-filled pools and even close encounters with local wildlife. Part of the Noble House Resort group and situated on the beachfront in Naples, the 189-room LaPlaya Beach & Golf Resort serves as a great place to connect with the great outdoors. This summer it’s again offering its annual Sea Turtle Suite package in conjunction with local sea turtle nesting season, which runs from May through October. 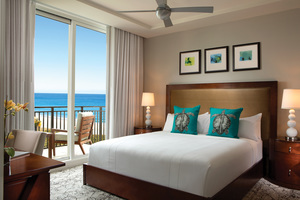 The two-night package, which starts at $2,400, includes accommodations in a Gulf-view suite, a “chef-tested, sea turtle-approved” dinner at the resort’s beachfront Baleen restaurant, two adult and two children’s tickets to the nearby Conservancy of Southwest Florida’s Nature Center, participation in a sea turtle adoption program, regular “turtle tweets” alerting guests to on-property sea turtle sightings and a welcome kit with a beach bag and stuffed sea turtle toy. The resort will donate a portion of the proceeds from each Sea Turtle Suite booking to the Conservancy of Southwest Florida, a local nonprofit that works to protect and preserve the area’s land, water and wildlife. Summer is a great time to check out the Hyatt Regency Coconut Point Resort & Spa’s new addition to its pool area. Last fall the Bonita Springs resort opened three new three-story waterslides—two speed slides and one inner-tube slide—along with a 1,095-foot heated lazy river. Those wet-and-wild features supplement the property’s existing 2,700-square-foot Waterfall Pool, 5,000-square-foot Adventure Pool with 140-foot corkscrew slide and adults-only heated pool. 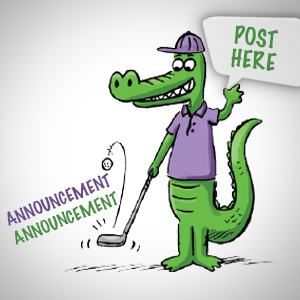 Tee up this summer at the Naples Beach Hotel & Golf Club, which recently completed a $9-million total redesign of its championship golf course done by legendary PGA pro Jack Nicklaus and well-known course architect John Sanford. Non-golfers can also find plenty to enjoy at the 125-acre resort, including a seven-mile stretch of beach, a tennis center offering lessons and clinics, two pools, a spa and yoga classes. And there are no resort fees plus complimentary valet parking. Captiva Island’s ’Tween Waters Inn occupies 13 acres situated between the Gulf of Mexico and Pine Island Sound. That prime location means guests enjoy easy water access for all kinds of recreational options as well as postcard-worthy views. The inn dates from 1931 and features a collection of historic cottages as well as traditional hotel rooms and suites. DiamondHead Beach Resort & Spa has freshened up its look. The Fort Myers Beach property recently completed a $2.5 million renovation of its suites, which was the final phase of a resort-wide enhancement plan that also included new lobby bathrooms, resurfacing of the pool, and new tile on the pool deck. Suites now include things like granite counters in the bathrooms and kitchenettes, walk-in showers and updated modern decor. Located at the tip of Captiva Island, South Seas Island Resort serves as a popular spot for multigenerational vacations. Lodging options range from traditional hotel rooms to nine-bedroom homes, and the resort offers activities and amenities for all ages. Guests can golf, book a fishing charter, take sailing lessons—or simply relax amidst the site’s picturesque setting. 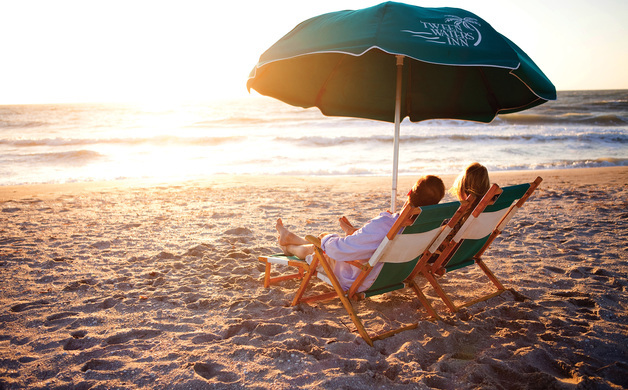 If you’re looking to try your hand at Sanibel’s world famous shelling, consider a stay at the island’s West Wind Inn. Situated on 500 feet of beachfront, the inn offers standard guest rooms along with studios with kitchenettes. Relax by the pool with a drink from the Upper Deck pool bar, or rent a bike to explore Sanibel’s 21 miles of bike paths. The inn’s Normandie Seaside Cafe features a new menu and is open for breakfast and lunch (plus dinner during the winter season). Set amidst the boutiques, restaurants and galleries of Naples’s Fifth Avenue South, the Inn on Fifth serves as a luxe getaway location. Treat yourself to a stay in one of the inn’s 32 Club Level Suites, which range from 516 to 1,200 square feet and feature high-end bedding, furnished balconies with views of downtown Naples, concierge service and a secluded rooftop retreat. Guests at the inn can also enjoy its rooftop pool, spa, 24-hour fitness center and restaurants, including the recently opened Ocean Prime Naples, a modern American restaurant and lounge from renowned restaurateur Cameron Mitchell. TOTI Media cannot be held responsible for limited availability of packages, rate changes or alterations to any of the information in this story. 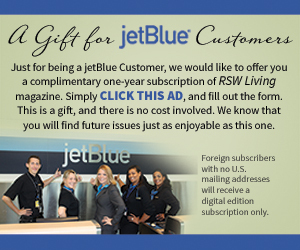 Written by Beth Luberecki, a Venice, Florida-based freelance writer and a regular contributor to TOTI Media.